These beautiful designs are one of a kind and created in India. Shop our various designs featuring traditional Indian designs and get 30% off with code! Easy to wear and great to gift! 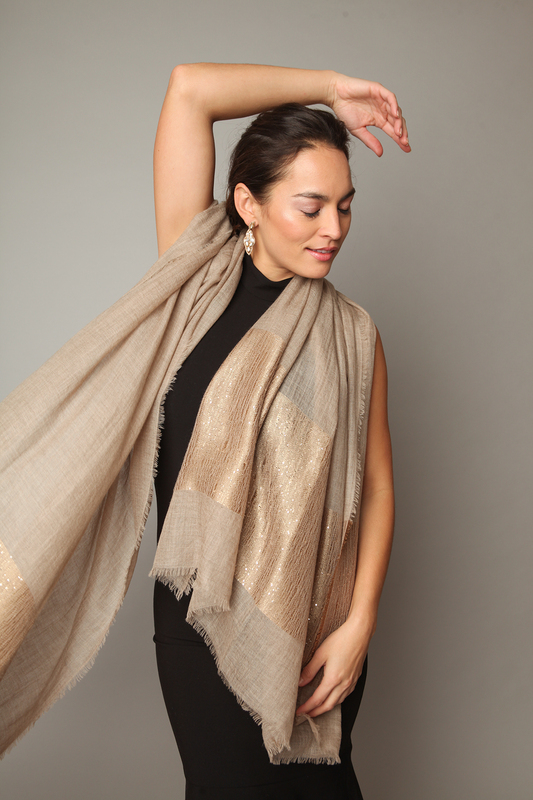 Saachi's solid scarves are sophisticated and can be a staple for any wardrobe. Some featuring beautiful yet simple shimmering features. 30% Off with Code / / HOLIDAY30 // $69 with code! Inspired by shooting stars, these earrings combine a whimsical silhouette with sophisticated details, such as large petal tassels beautifully beaded adornments. Clip-On Backing 3.25" x 1"
Shop now! sale ends 12/14!